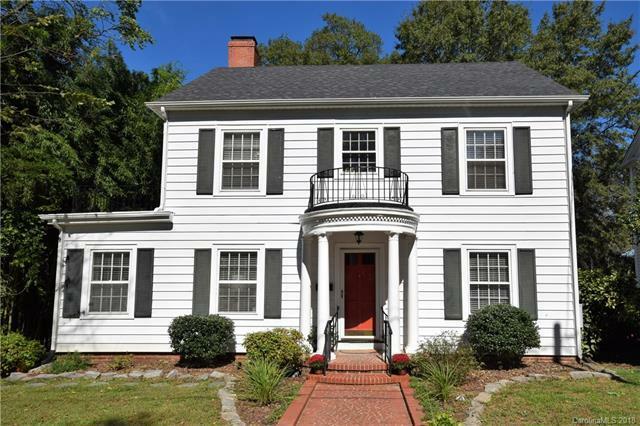 Gorgeous home located in the Historic District of Gastonia! As you enter, you will immediately notice the beautifully refinished hardwood flooring, large family room with tons of natural light, crown molding, built in shelving & brick fireplace. All of the character and charm you would expect from a home of this era! The foyer leads to double french glass doors and into the formal dining room. The kitchen offers plenty of cabinet space and a large a breakfast island. The study downstairs leads to the over-sized deck that overlooks the nice flat backyard. The third floor offers an additional room/office space to make your own! The lot is an irregular shape with a large area in the rear of the yard that features a fire pit with additional space to garden or entertain! Pride of ownership shows in this well maintained home! Sold by Tammy Parker Realty Llc. Offered by Traver Realty & Associates Of Matthews Llc. Copyright 2019 Carolina Multiple Listing Services. All rights reserved.